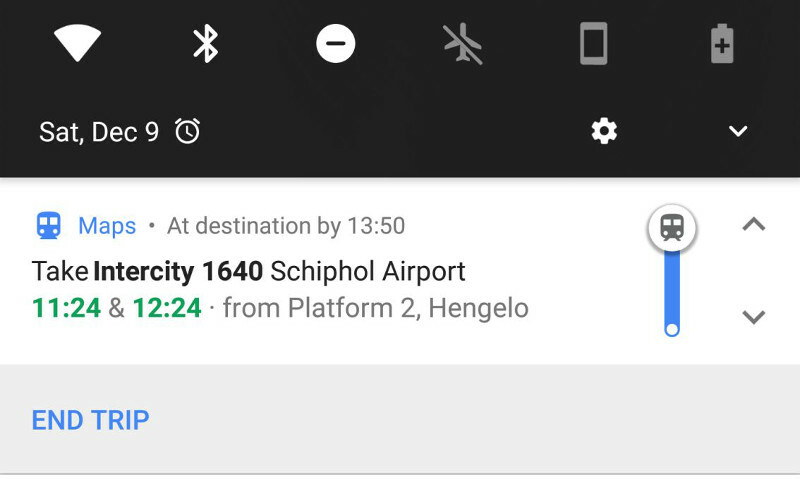 The app will track your commute and show notifications on your Android lockscreen. Google Maps will make taking the train or the bus in places you're visiting a lot less stressful: according to TechCrunch, the app will soon guide you through every step of a mass transit ride, including telling you when it's time to get off. Once the feature rolls out, you'll apparently find a "start" button at the bottom of the screen when you look up how to go to a certain destination. If you tap that button, you'll get live updates on where you are as you walk or as your ride moves, not only within the app, but also on your Android lock screen. You probably won't need a feature like that for your daily commute, but if you're traveling to a new city, state or country with a transit system that can be overwhelming for first timers, then it could be a godsend. Simply glance on your lock screen to see where you are (if your GPS and mobile internet are working inside the vehicle, that is) or wait for your phone to tell you that you've arrived. You can even scroll up and make sure you're going the right way. TechCrunch says the feature will go live "soon," but make sure to check your app right now -- it might have already rolled out to random users for testing. The concept isn't completely new. Transit's self-titled app has a "Go" feature that takes you through every step of a bus or subway ride. Google's implementation would have a clear advantage, though: on Android, you wouldn't have to download a separate app.